The use of magnets to generate controlled electromotive stimulating fields has many medical applications and has proven to be one of the most effective means for diagnosing and helping resolve pain, illness and disease. Used widely in other parts of the world, it is just now starting to be recognized by Western medicine as a valuable therapy in treating physical and emotional disorders. “The healing potential of magnets is possible because the body’s nervous system is governed, in part, by varying patterns of ionic currents and electromagnetic fields,” reports Dr. Zimmerman, Ph.D. (former President of the Bio-Electric-Magnetics Institute). 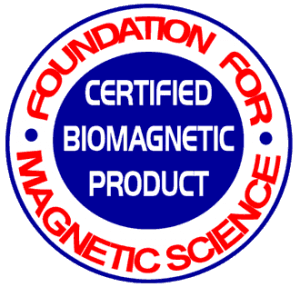 BiomagScience has determined that proper magnetic fields are able to penetrate the body and affect the functioning of the cells of the glands, organs, hard and soft tissue, and the nervous system by aggressively increasing their cellular electrical voltage (electromotive vitality), resulting in electrically forcing the cells to increase their metabolic and immune functions. The increased cellular energy results in helping the body quickly reduce pain and resolve most health conditions while achieving and maintaining wellness. When used properly, magnetic field therapy has no harmful side effects. This book is about how to use Biomagnetism correctly. One is South, and the other North. As there are conflicting methods of naming the poles of a magnet, such as the seeking pole, a magnetometer and a gaussmeter are used as a standard method to determine which side is emitting Positive (Geo South) or Negative (Geo North) electromotive energies. If a compass is used to locate the poles of the magnet, the needle pointing to the “Geological North Pole” of the earth will also point to the magnet’s Negative (Geo North) pole, and vice versa. Research worldwide teaches that the Bio-Negative energy amplifies the body’s own natural healing energy which naturally reduces inflammation and increases cellular metabolic and immune functions producing a calming, healing, alkalizing and normalizing effect. In contrast, the Bio-Positive pole has a stressful, inflammatory effect and with prolonged exposure, produces acidity, reduces cellular oxygen, supports anaerobic bacteria and reduces normal metabolic functioning. The Bio-Positive energy is used carefully and generally in conjunction with the Bio-Negative energy in advanced therapies. Magnetic therapy can be applied in many ways. Devices range from small, solid-state magnets to large machines capable of generating high magnitudes of field strength (used for treating fractures and conditions like MS). In various parts of the world, magnetic devices are medically recognized, quite popular and covered by medical insurance. BiomagScience’s research has determined that solid state magnets offer the only magnetic energy applications that work in the same sympathetic energy level as the body’s cells. Subsequently BiomagScience has developed the most extensive and comprehensive advances in supportive healing by synergistically amplifying the cell’s own healing energy for the required condition. BiomagScience BioMagnets can be placed individually or on multiple locations on the body, in the privacy of your home, and its kits and the therapy book Conquering Pain: The Art of Healing with Biomagnetism provides all the techniques and protocols that have helped people throughout the world achieve rapid pain relief and heal over 170 simple, acute and chronic conditions. Therapies can last from just a few minutes to a few months, and depending upon the severity of the condition, may be applied through- out the day and/or night. Most health conditions can be addressed with magnetic therapy and sometimes with miracle-like results on acute injury, chronic illness or disease: BiomagScience cites cases of people awakening from terminating comas, regeneration of severed nerves or crushed bones healing four hundred percent faster. In a case cited by Dr. Wolfgang Ludwig, a forty-six-year-old man, had suffered for years from severe heart flutter, diarrhea, and nausea. Nothing helped until a low-gauss magnet was placed upon his solar plexus for only three minutes; his symptoms immediately ceased. After two years, he still had experienced no relapse. In another case described by Dr. William Philpott, a seventy- year-old man, continued to suffer from heart pain after undergoing coronary bypass surgery. His speech slurred, he walked with a shuf- fle, and lived in a state of chronic depression. He decided to try mag- netic therapy, and a biomagnet was placed over his heart. Within ten minutes the pain disappeared. Magnets were then also applied to the crown of his head while he slept, and within a month, his depression was gone, his speech was clear, and his walking returned to normal. 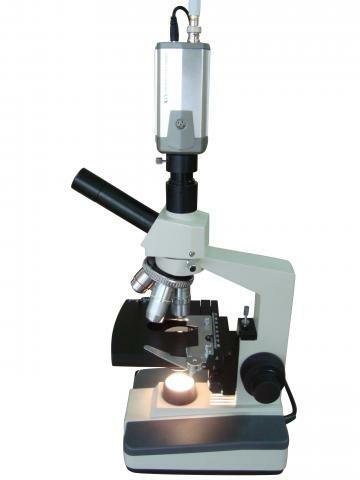 BiomagScience confirms the findings that Biomagnetism helps eliminate toothaches, periodontal disease, and eradicate fungal infections like candidiasis; helps dissolve kidney stones and calcium deposits in inflamed tissue, and is particularly effective in reducing inflammation and edema. According to Dr. Philpott, “Symptoms of cardiac and brain atherosclerosis have been observed to disappear after six to eight weeks of nightly exposure to a Negative solid-state magnetic field.” BiomagScience’s case of arterial stenosis (calcium buildup in the heart) was eliminated in 6 weeks. BiomagScience has shown that elevating the cellular voltage of an individual causes an immediate increase in health and vitality. Citing two cases of middle-aged women who were very ill with malabsorption, a condition in which the cells become stuck with such low energy (voltage), they were unable to absorb enough nutrition, oxygen and electrolytes to increase their cellular voltage to be able to become well. Another case with outstanding results following BiomagScience proper placement on the body’s meridians is the 72-year-old man who, in a head-on collision, crushed both knees and splintered both legs down to his ankles, just before Thanksgiving. After the surgery, the doctors told him he would have to heal until August before he could start to start physiotherapy to learn to walk again. As a colleague knowledgeable about BiomagScience protocols, he immediately put Super BioMagnets down the front of his left leg and the back of his right. As a result, he did not need any pain medicine and was walking normally by the third week of January, having healed four times faster and without pain medications as the Biomagnets eliminated the pain. The OGE (organ group energizing) therapy was created due to an unusual case. A fellow contacted us to find out if anything could be done for his 91-year-old father; his kidneys had failed so badly, dialysis could no longer be performed and he slipped into a septic shock coma. Realizing that his primary organs were failing, we advised placing our Regular Size [Rare Earth Super] BioMagnets on the pancreas/spleen, right side of the liver and both kidneys, and a 2-Stack of Power Wafer on the lower CVS (the back of the neck at the hairline) to energize the brain. The supposition was that if we could energetically elevate all his primary organs at the same time, they might normalize in unison and bring his father back from the brink of death. Three days later, instead of terminating as the trend indicated, his father woke up, his kidneys started to heal and he no longer needed dialysis. The fellow continued to live for a reasonable period of time, and when he died, it was naturally in his sleep. From this case, the OGE therapy was born and is now commonly used for other acute and chronic issues. These are just a few of the many outstanding results that have resulted from the development and proper use of Biomagnetism. For more results, please see the health conditions and research cases on our site. BiomagScience concurs with Dr. Philpott that the Bio-Negative energy applied to the top of the head stimulates the pineal gland to naturally increase the hormone melatonin, which has a calming and sleep-inducing effect on brain and body functions. Melatonin has not only been shown to be anti-stressful, anti-aging, anti-infectious, anti-cancerous, and the first catalyst in restoration of the body, but it also helps heal free-radical sites (see before and after free-radical site Research. Free radicals are Positively charged, highly destructive, oxidative molecules that, missing an electron, bond and destroy healthy tissue to balance the missing electron. * An excess of free radicals creates a decreased efficiency of protein synthesis and metabolic functions, which leads to premature aging of the cells, wrinkling of skin, hardening of the vascular system, illness and many other poor health conditions. Since Bio-Negative energy neutralizes the positive energy of free radicals, it helps heal the multitude of conditions related to oxidative stress, infections, and aging from an excess of free radicals. For that reason, Biomagnetic therapy should be considered an important daily energy supplement for maintaining good health by eliminating this naturally occurring problem. “A Negative magnetic field can function like an antibiotic in helping destroy bacterial, fungal, and viral infections,” says Dr. Philpott, “by promoting oxygenation and lowering the body’s acidity.” Both of these factors are beneficial to normal cellular functions but harmful to pathogenic (disease-causing) microor-ganisms which do not sur- vive in a well-oxygenated, alkaline environment. It has been proven that the biological value of oxygen is increased by the influence of a Negative magnetic field and that increasing the charge in a low energy cell will cause its Negative charged DNA (deoxyribonucleic acid) to “pull” more oxygen out of the bloodstream and into the cell. The Negative magnetic field helps promote and maintain the cellular buffer system (pH acid-base balance) and support healthy cellular alkalinity. The low-acid alkaline balance helps maintain the presence of oxygen in the body. *Authors note: The body naturally produces free radicals and receives many more free radicals in the form of toxins in the air, water, and food. The normal Positive electron spin of the oxidative free radical that damages healthy tissue is systemically and rapidly neutralized and healed with the proper Bio-Negative energy of a BioMagnet. See “free radicals” in the research..
Additionally because magnets do not introduce any foreign substance into the body, this makes them safer than long-term medications, and after 36 years of research and development of advanced therapies, BiomagScience energy medicine is a simple to use, scientifically based therapy that provides major pain relief and healing of conditions heretofore not able to be successfully addressed with allopathic medicine. BiomagScience therapies help overcome most simple, acute and painfully chronic conditions. They also provide increased vitality, maintain wellness and in most cases, are the best first-aid to help immediate healing. 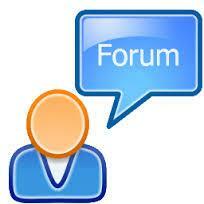 If you do not see your condition or need help with an application, email us at [email protected].